Heart Attack Grill Owner's Message: "You're Fat, Lose Some Weight"
Last night's premiere of Showtime's Morgan Spurlock-created and -presented documentary series 7 Deadly Sins focused on gluttony. The first of the show's three short profiles featured Heart Attack Grill owner "Doctor Jon" Basso twirling his proverbial mustache at the camera and positioning himself as the bad guy the world needs. John Alleman died as he lived. 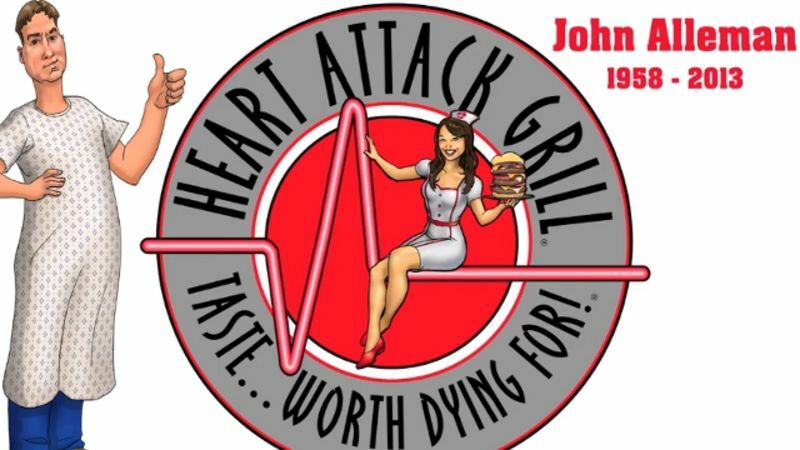 An unidentified man suffered cardiac arrest a heart attack while eating a meal called a "Triple Bypass Burger" at the Heart Attack Grill in Las Vegas on Saturday.